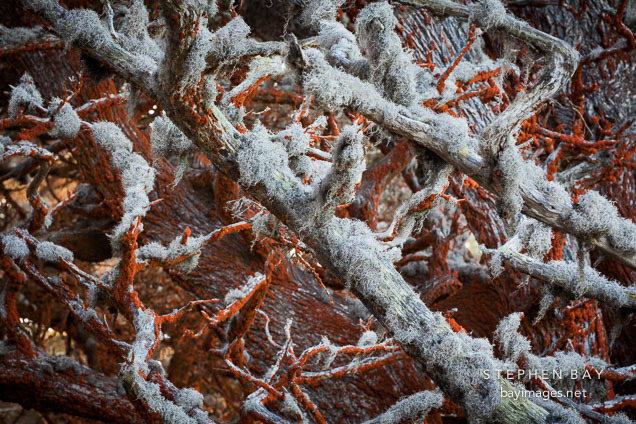 Photo: Lace lichen and red algae on trees. Point Lobos State Reserve, California. Lace lichen and red algae on trees. Point Lobos State Reserve, California.